It’s a mean looking machine. Enjoy! Congrats!! I had a Praga Dragon and loved the brakes…had the previous owner not worn through the nose rail, filled it with JB weld, and re-powdercoated, I’d still have it! I was told that the front end geometry on the Dark is superior in adjustability and capability to the Dragon. Should be a nice ride for you!! Brandon Jarsocrak was certainly FAST on it… Good luck in 2019! Great looking kart. Looks aggressive! 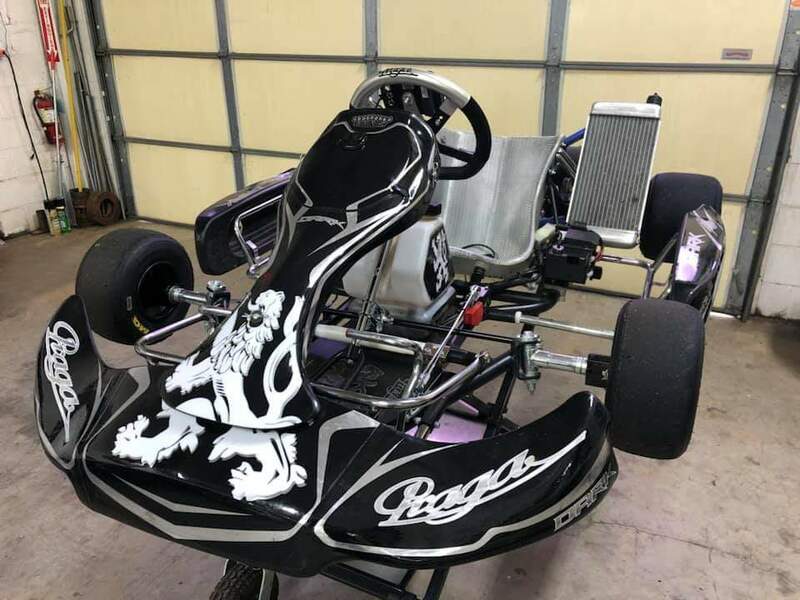 It’s this your first new kart? Good luck and. Have. Fun. Man. Wow thats is gorgeous. Congrats and good wins.